Handsome wall decor displays your favorite photos. 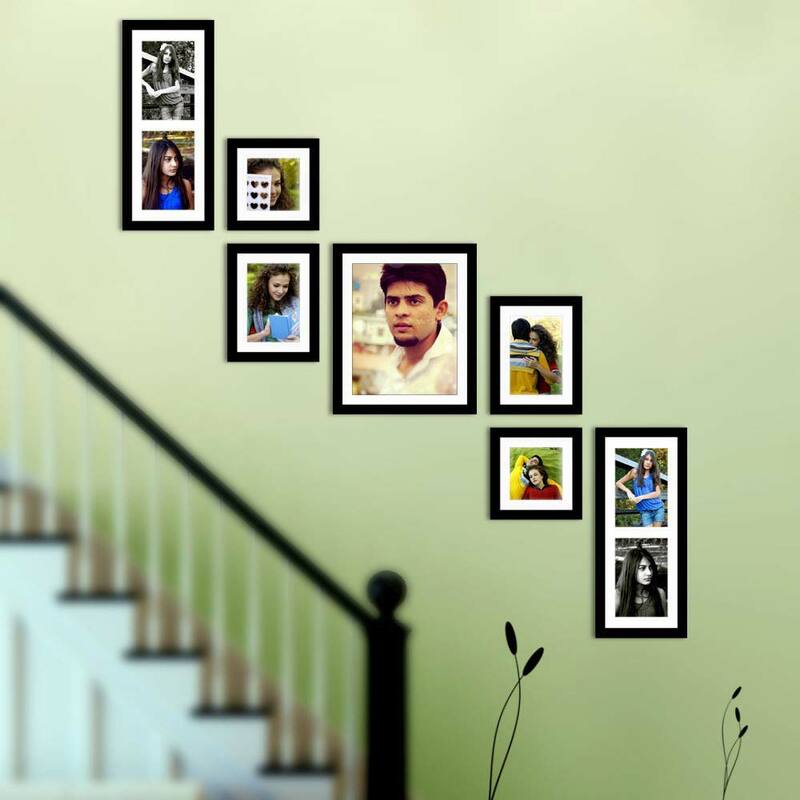 Frames will cover 4 ft by 4 ft area on the wall to give a splendid look. It holds various sized pictures. Black contemporary finish really makes the photos pop. It is crafted with high quality synthetic wood with sturdy build. Use it to decorate your home or office wall.